This song is a real treat for beginners who play the electric guitar, because it is really easy to play. Granted, The White Stripes made it their thing to compose simpler melodies, but Seven Nation Army was their most famous song, exploding them to stardom. Our guitar lesson on 7 Nation Army will teach you how to play the entire song even if you've only been playing guitar for a week. The song is played in the key of E minor at 120 BPM. First off, you should know that the band originally played this song in open tuning, and they used a guitar slide as well. Don't worry about this though, I'll show you how to play Seven Nation Army in standard tuning. 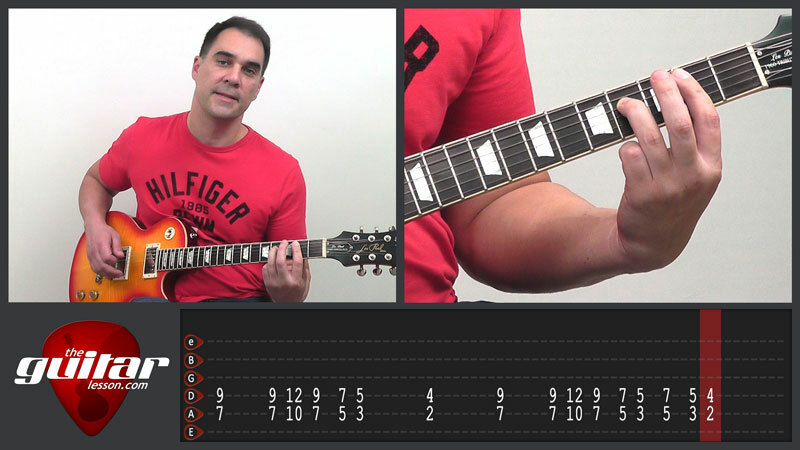 We will start out with the main riff of the song, which is a series of notes from the E minor scale. Did you notice how low the main riff's tone is in the original track? Is it a bass guitar? Actually, it's not. The White Stripes uses an octave pedal to lower their tone by an octave during the main riff. If you have an octave pedal, that's great, use it. If you don't, it doesn't really matter, it'll sound great either way. I do not use an octave pedal during the lesson, so don't worry about it. Once you learn the main riff, it's time to pump up your distortion and rock out. If you don't have a gain pedal, I'll show you a handy way to turn your pickup selector into an overdrive switch. Next, we'll learn the prechorus power chords, followed by the chorus power chords. This will give you a great chance to practice power chords and moving in between them as well, which is an important technique in rock guitar. At first you may have difficulties keeping the power chord shape firm during the slide. Keep on practicing it! Make sure your fingers are firm when you slide, we don't leave any fingers behind. In the final part of the lesson, we'll learn to play the solos from Seven Nation Army. I just want to remind you that they play this part of the song with the guitar slide, which is the reason you can hear that weird out-of-tune effect when you listen to the original song. The song was released by The White Stripes in 2003 on their album titled Elephant. It was the lead single of the album. It's signature riff was almost discarded by Jack White, but he decided to save it just in case. He used it to write the song a year later, and the rest is history. Seven Nation Army is regarded to be one of the greatest songs of the 2000's. The songs title originated from Jack White's mispronunciation of Salvation Army as a child. The song was a massive hit upon it's release, reaching the #1 position on the Alternative Songs Chart, as well as winning the Grammy for Best Rock Song. It had profound cultural impact, as it was included in video games, played at sporting events, protests, even political commercials. The song brought The White Stripes into a whole new league and performed well on charts across the world. Sorry, but you've reached a premium content area. The download of the Seven Nation Army tablature file is only available to premium members. Sorry, the same goes for the backing track. To download the backing track to Seven Nation Army, please log in and revisit this page.